In my five years of blogging, I don’t think I’ve ever formally introduced Dixie! 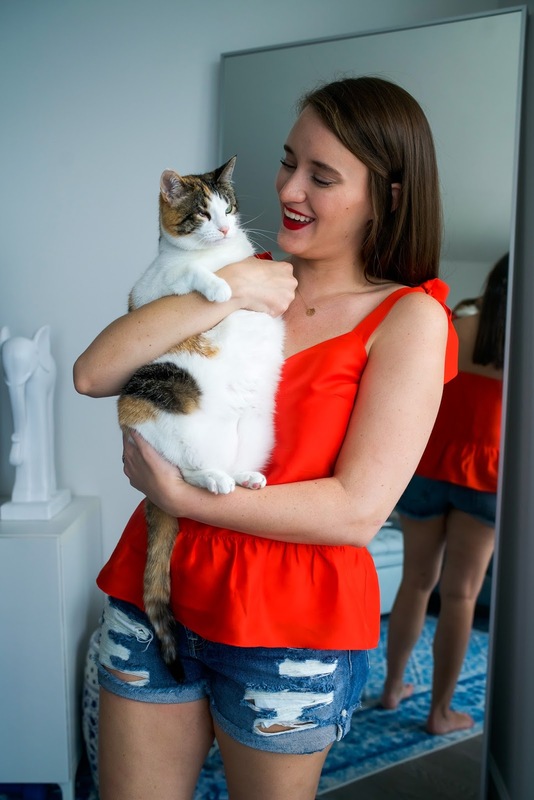 But today I'm patterning with Tidy Cats as apart of a year long collaboration, and I wanted to tell you all more about Dixie and our life together in the city! According to a blurry Facebook image, I got Dixie on May 12, 2011, just as I finished my sophomore year of college. She was two weeks old and the smallest cat I had ever seen. Her birthday is somewhere around the beginning of May, which means she just turned six! I’ve always had a cat growing up, but when I left for school I decided it was best to leave my cat at home with my parents where she would be treated like royalty (literally). During my sophomore year, I was in an apartment with a roommate, but I would soon be living alone and knew I would be extra lonely. In May of 2011, my best friend Nicole called me and asked if I wanted a cat. I immediately told her yes and then she said that the cat had some complications and only has one eye. Being shallow (and broke) I said maybe it was best I didn’t adopt the cat. She suggested I at least come see it and make a decision. I went to her apartment that night, and while most of the memory is a blur, I remember falling hard for the little kitten that was sleeping in my hand. I called my mom shortly after and made sure it was OK if I kept the cat. I felt there was no way I could live without her. As the story goes, Dixie was born in an attic of a retirement home in Kentucky where she was the only one from her liter to survive. There was a loud commotion coming from the attic and we are left to believe that the father cat attacked and killed the full liter as well as the mommy cat and was in the process of attacking Dixie (and scratched out her eye) before it was broken up. The people who saved her life brought her into the vet where Nicole worked. Since Dixie was so young and fragile, they thought adoption might be hard and her chance at life was slim. 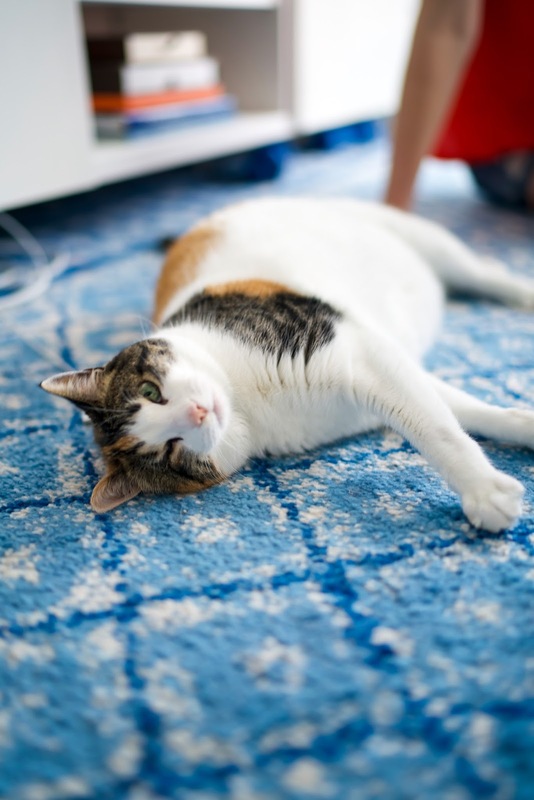 In most cases vets would euthanize the cat, but in our case Nicole promised to find her a home. This is where I came in! After I met Dixie and heard her story I knew I had to take her home. Because of her condition the vet said she would provide a lot of treatment free of cost since we were fighting an uphill battle. At the time, Dixie was so young (too young to be without a mommy kitty) and could do little on her own. Between that and her eye constantly fighting the battle of infection, the first few weeks and months were rough. BUT we are here today, alive and well! Her eye has cleared up completely on its own and continues to maintain itself without medication. I decided to leave it open since it was at no risk to her and since I didn’t have enough money at the time to close it. I was originally going to name her Cally (the Calico) but Nicole said no, for good reasons. The first time Dixie fell asleep in my hand, a Dixie Chick song was playing, and that is how her name came to be! This will mark our sixth year living together and our fifth in the city. 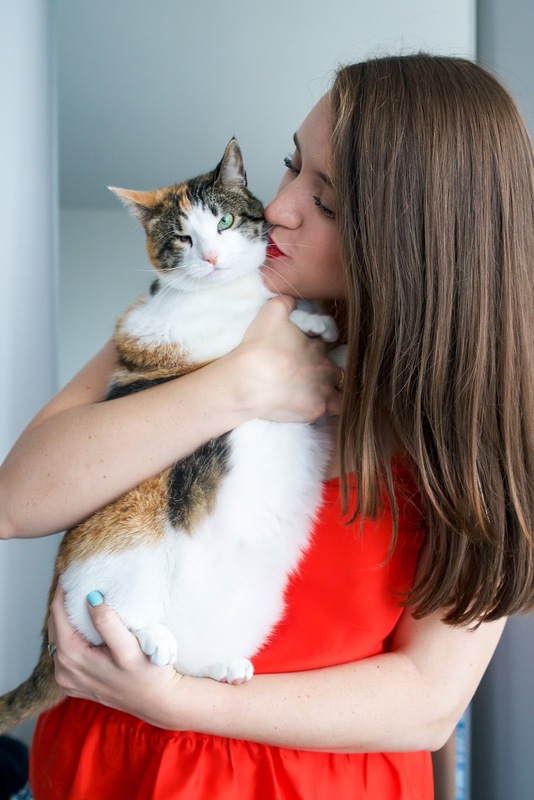 One of my most popular questions about Dixie (outside of her eye) is what it’s like living in the city with a cat, and what to do with the litter box. Even in Lexington, her litter was always in the bathroom. I decided this would be the case because it was an easy place to clean up and the smell would be contained to a smaller space. Thankfully we live in a day and age where kitty litter is advanced enough that the smell doesn’t travel and fill the apartment. Ever since she was able to use litter, we’ve been loyal Tidy Cat users. 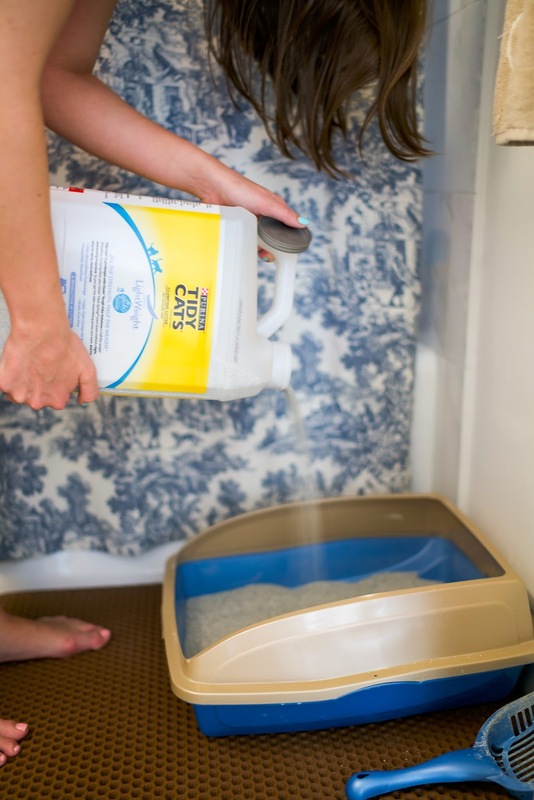 Their odor protection and scented litter has been a saving grace for us over all these years. We will probably never change that! 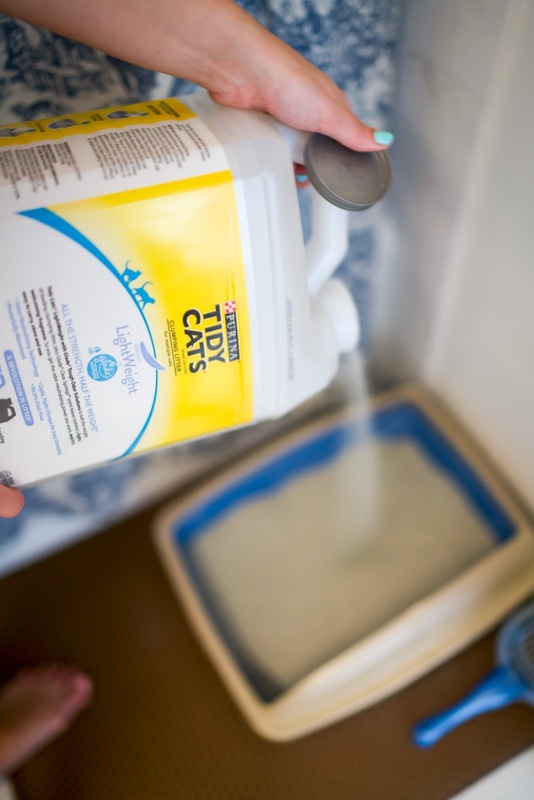 I’ve always loved the litter with the glade scent -- official name: Tidy Cats LightWeight with Glade Tough Odor Solutions Clean Blossoms -- not only to lock in her smells but to make the whole room smell a little better. Since we moved to the city, I’ve been ALL about the lightweight litter. People outside the city won’t understand, but when you have to get groceries and carry them home, a lightweight litter is HUGE. I’m also really excited to announce that Dixie and I have signed on to be ambassadors for Tidy Cats for the year! I would love to say that she printed her paw on the dotted line, but all she knows is there are a lot more treats for her at home now!